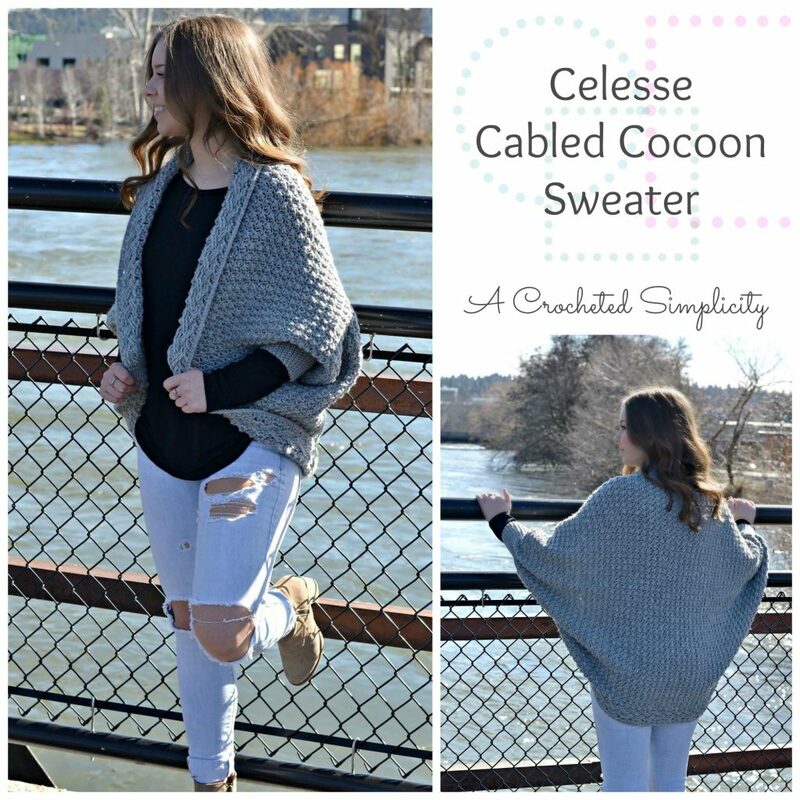 Let’s chat a little about the Celesse Cabled Cocoon Sweater! 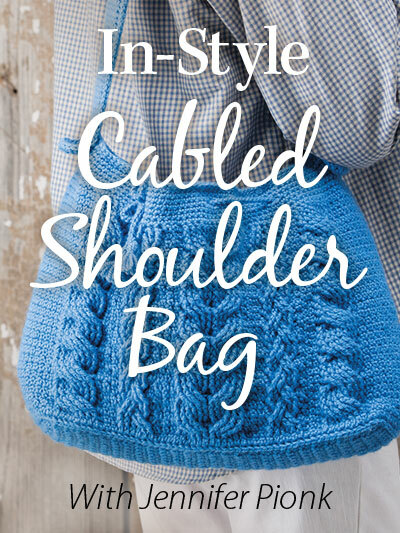 The construction of this sweater is really simple and something that a confident, advanced beginner (comfortable with reading crochet patterns) can complete. Unlike fitted garments, there’s no shaping to worry about and while gauge is somewhat important, it’s not crucial to be exact for this design (close works!). Customize it a bit to suit your style. Make it larger or smaller, with sleeves or without, longer or shorter sleeves…it’s totally up to you! You can also wear it inside or out for two different looks! Right Side out shown in the photo above. Inside Out shown in the photo below. 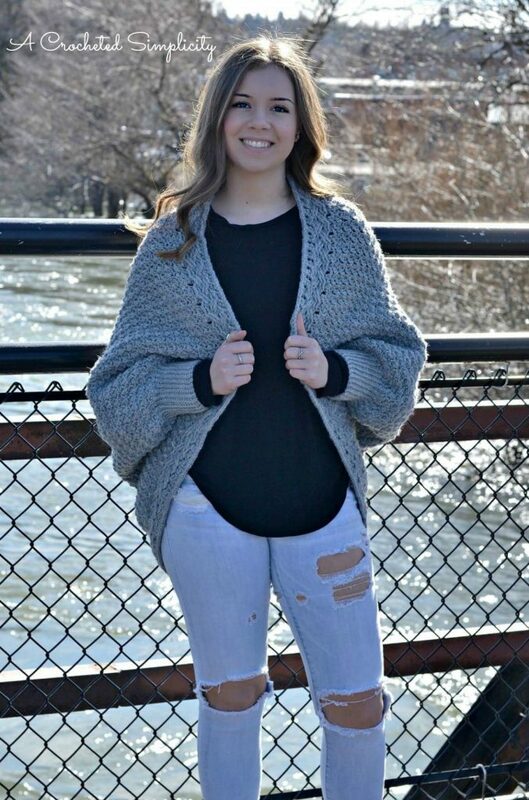 This sweater was designed with Lion Brand Wool Ease Worsted (the color in the sample is Grey Heather). Lion Brand Yarn’s Wool Ease Worsted is an 80% acrylic, 20% wool blend and it is available in 26 gorgeous colors. The combination of the yarn, stitch pattern and hook size gives this sweater a wonderful drape making it an extra comfy garment. 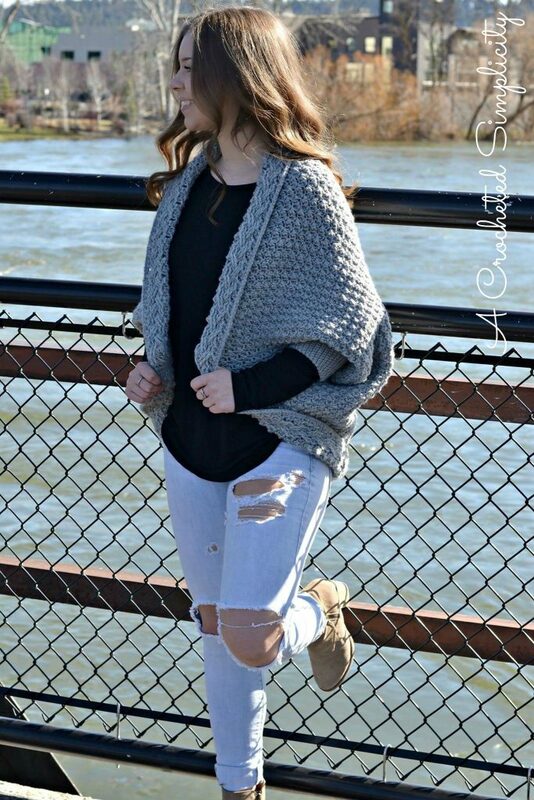 Check out the Ravelry projects as testers add their photos to see the sweater without the sleeve option. 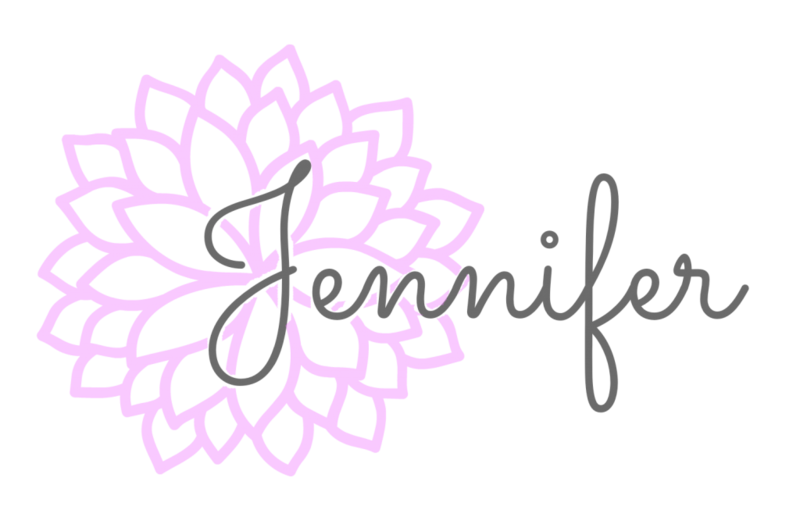 CLICK HERE to be taken to the Ravelry project’s page. « Super Easy Way to Add a Zipper to Your Crochet Projects!